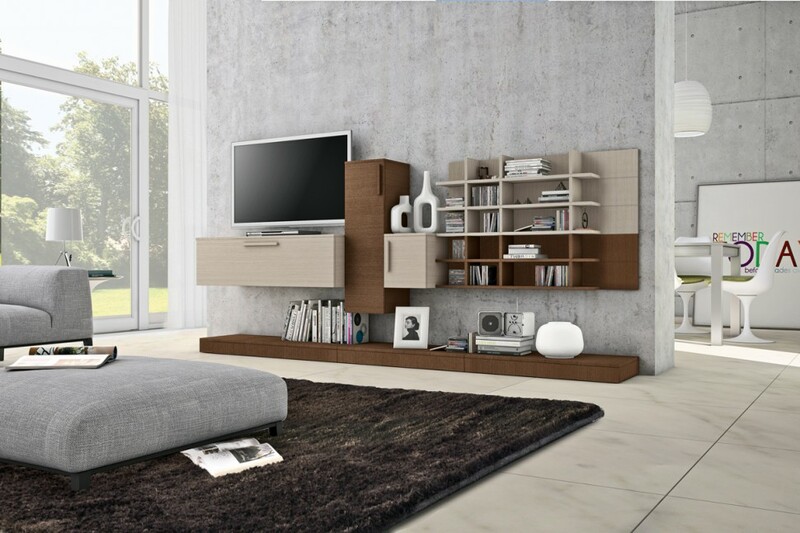 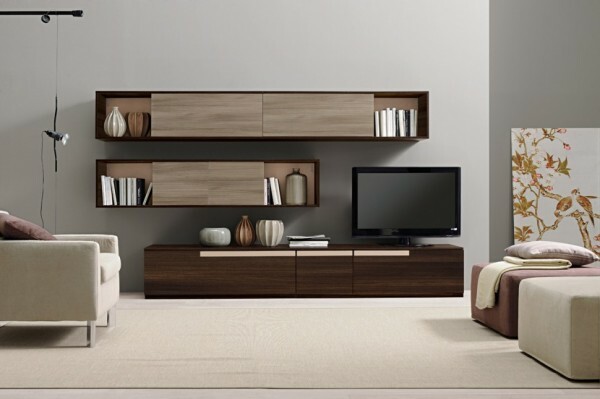 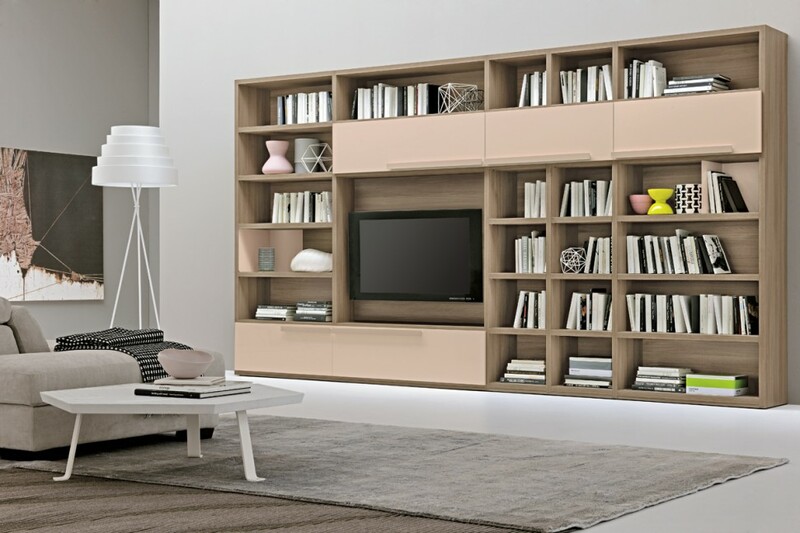 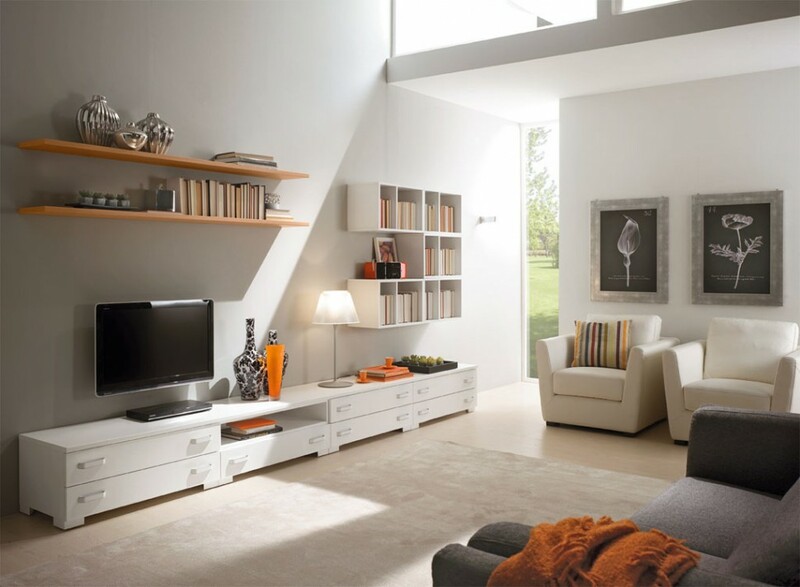 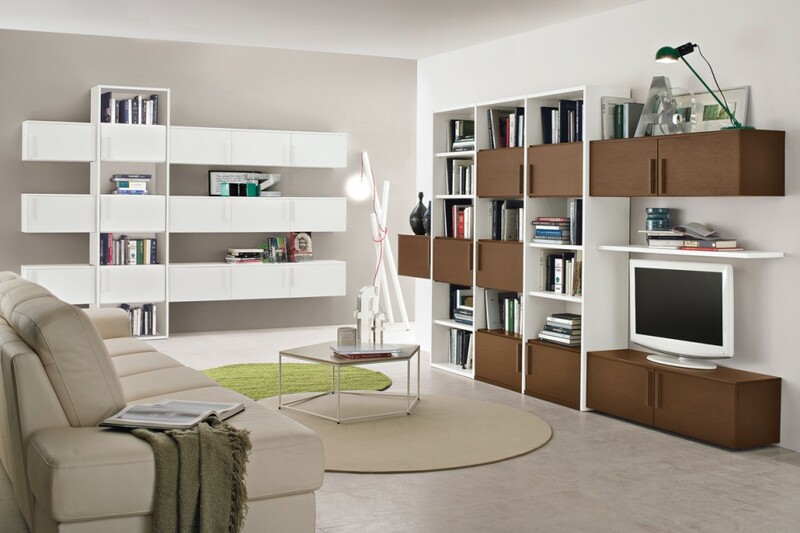 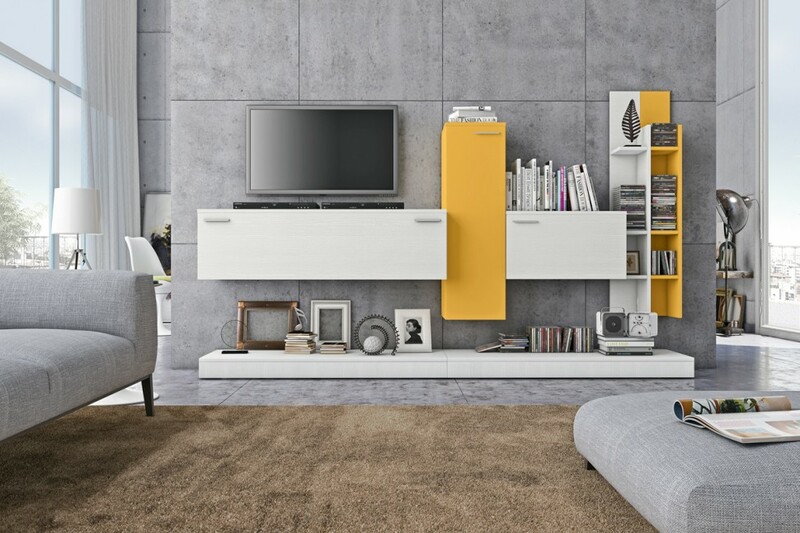 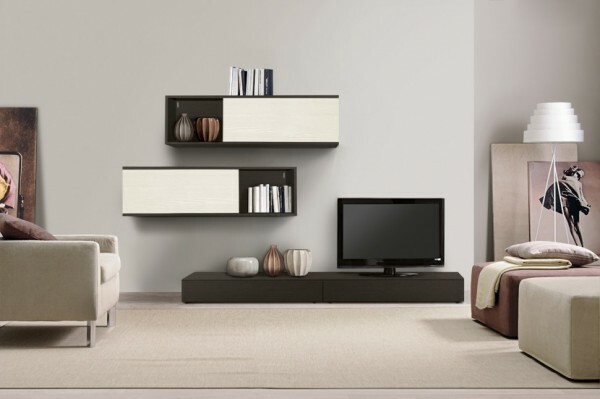 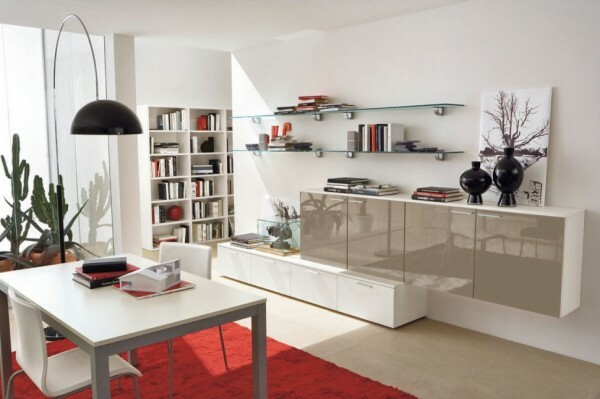 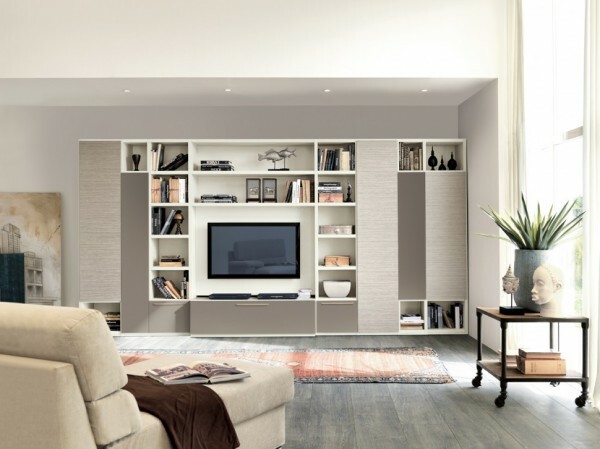 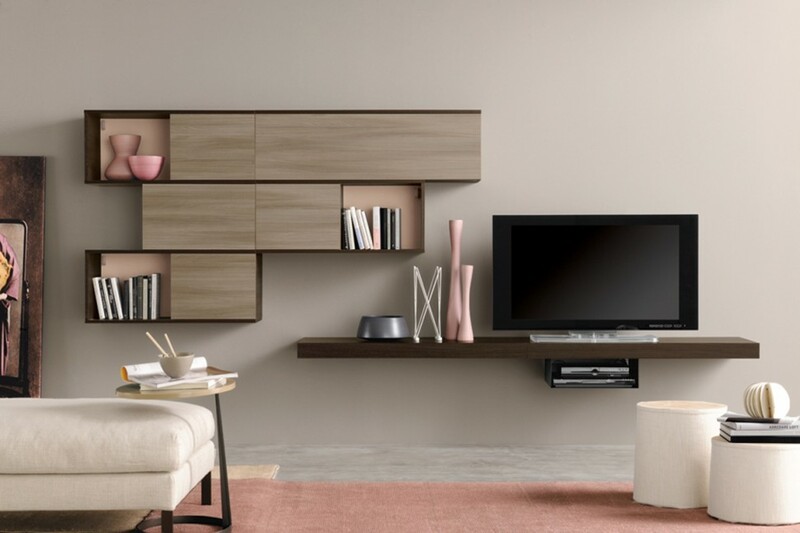 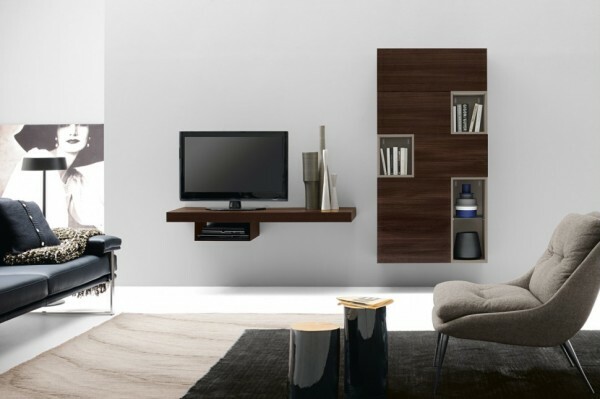 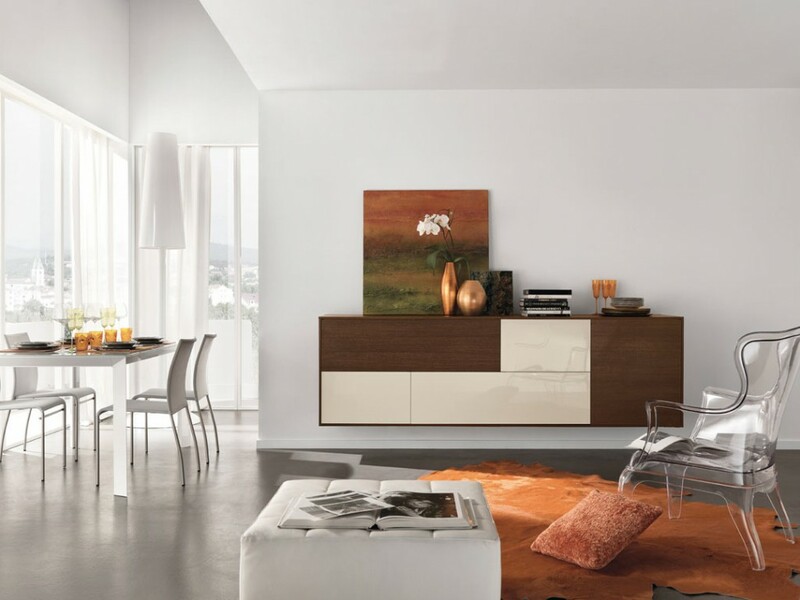 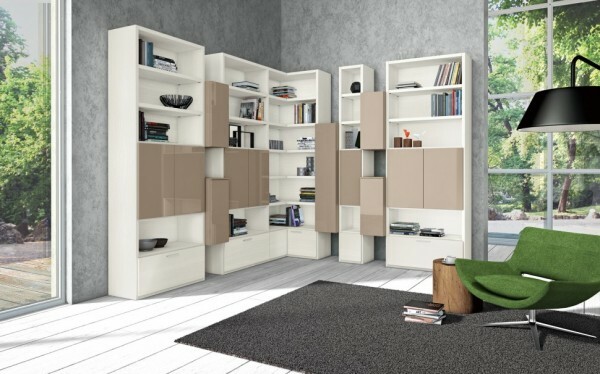 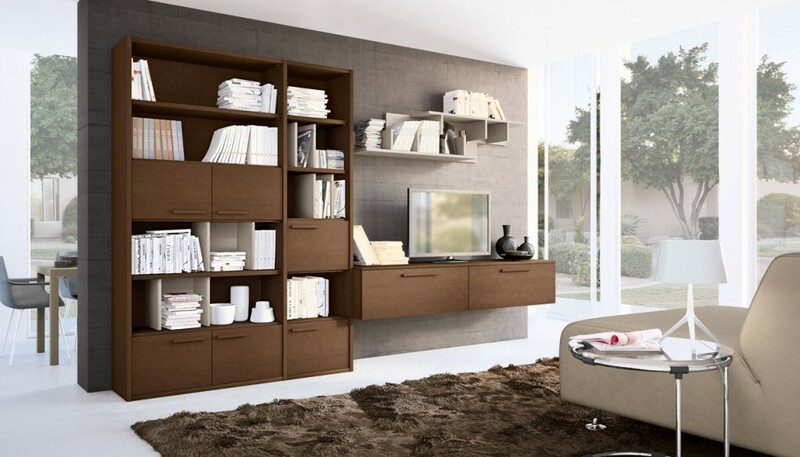 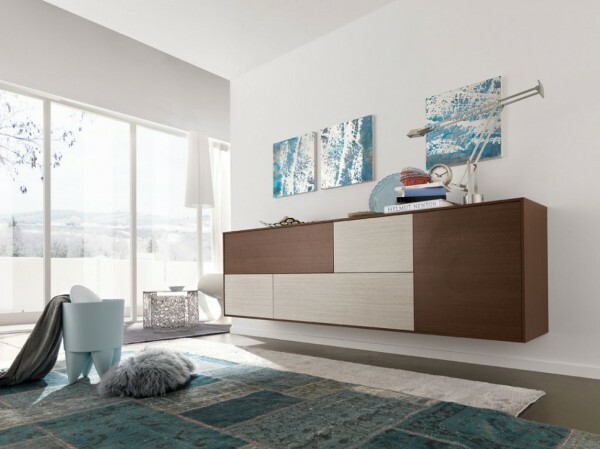 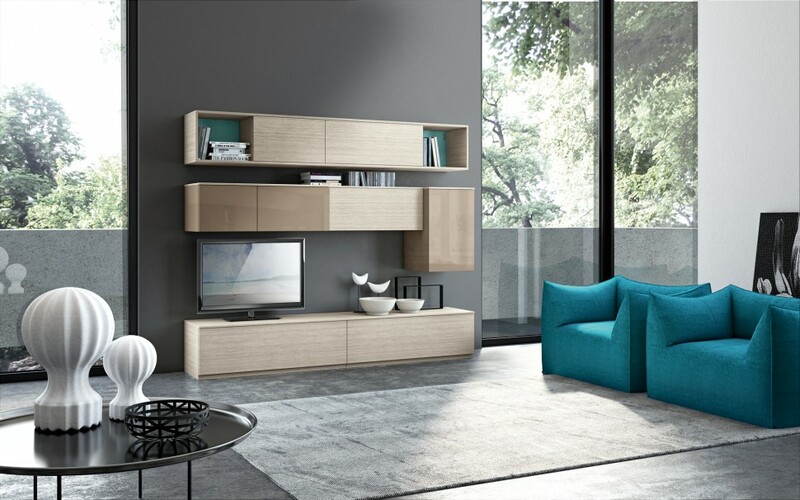 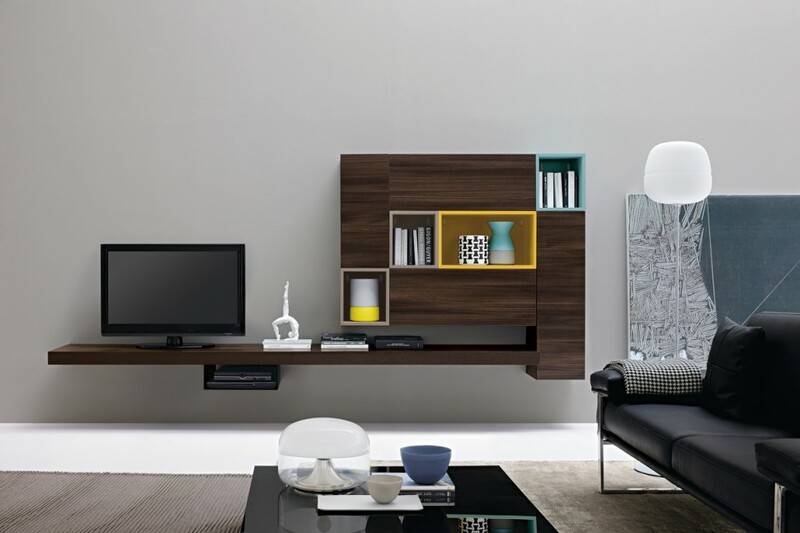 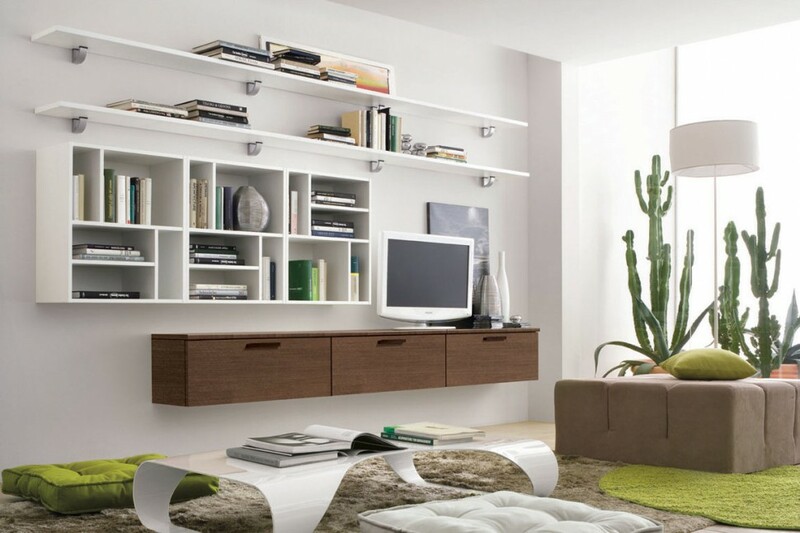 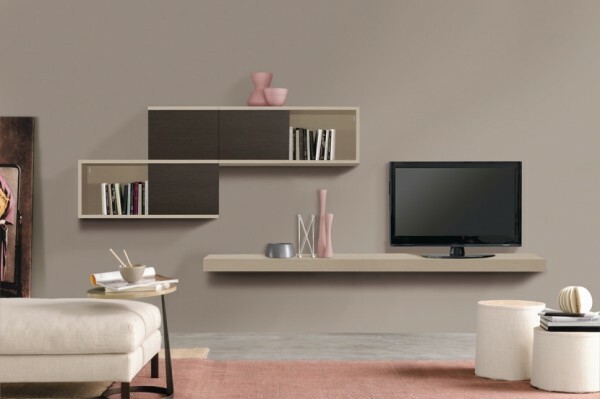 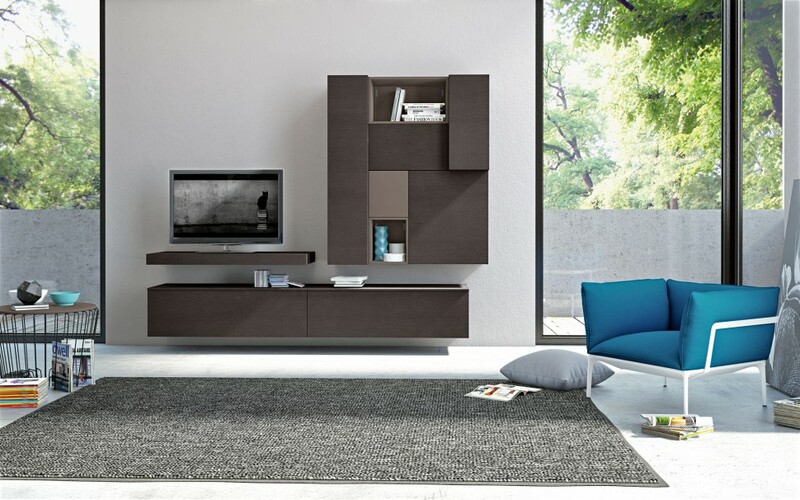 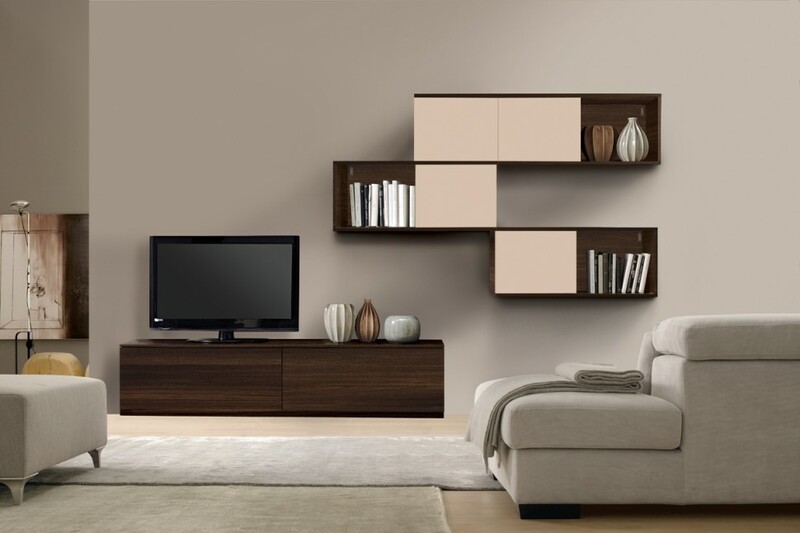 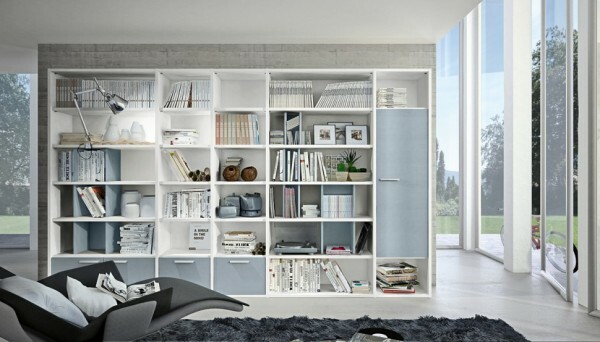 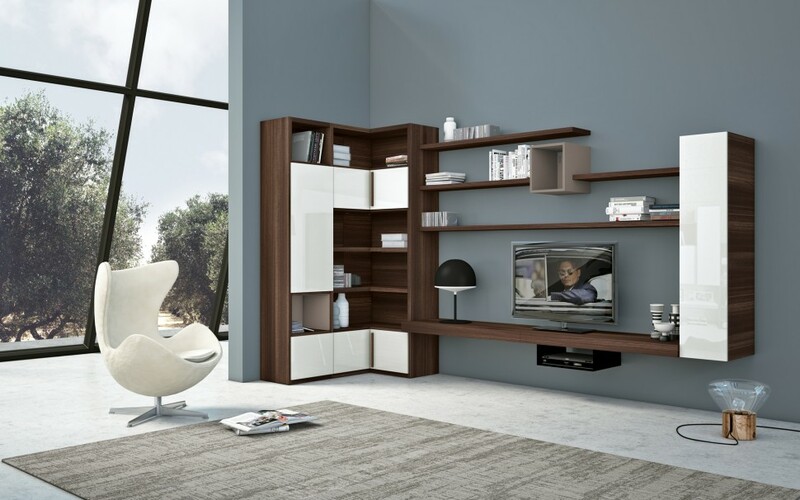 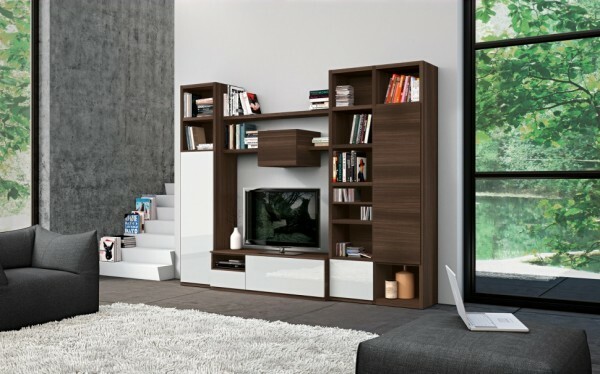 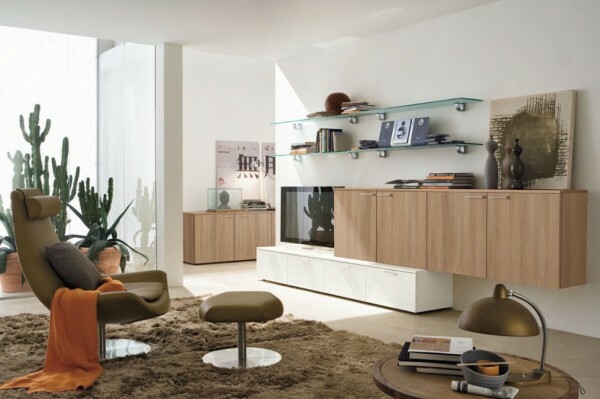 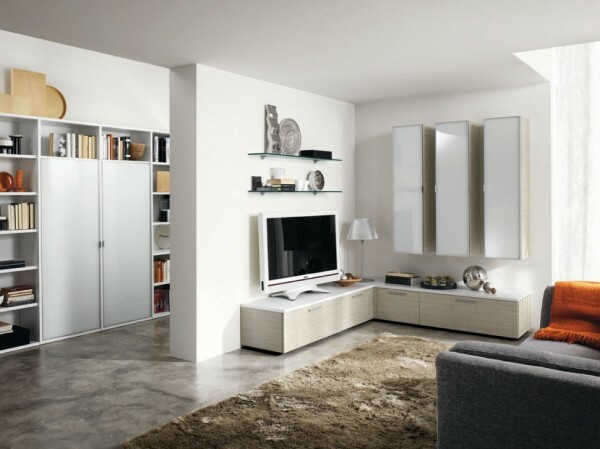 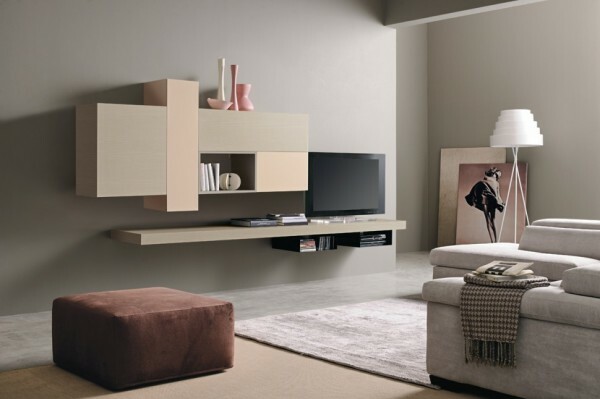 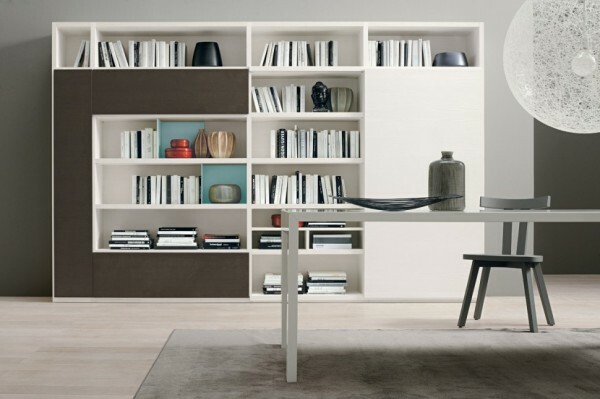 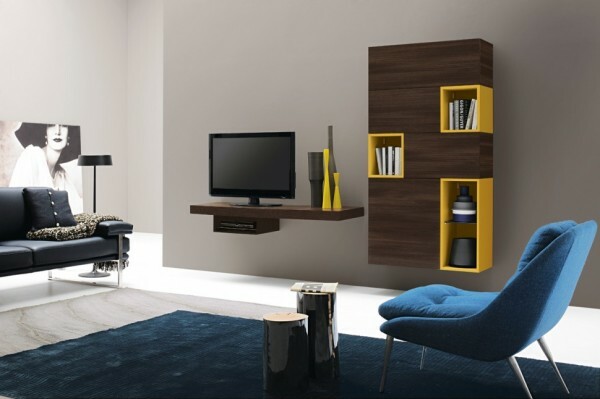 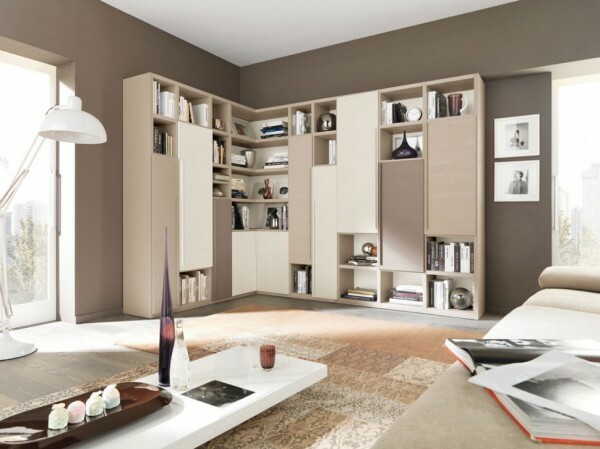 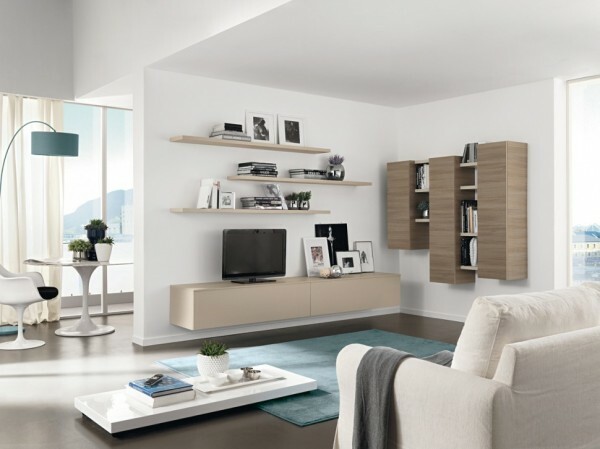 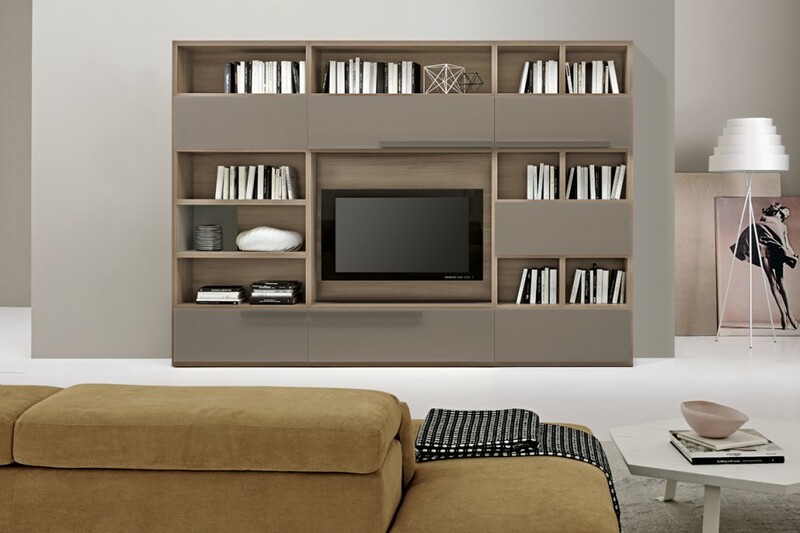 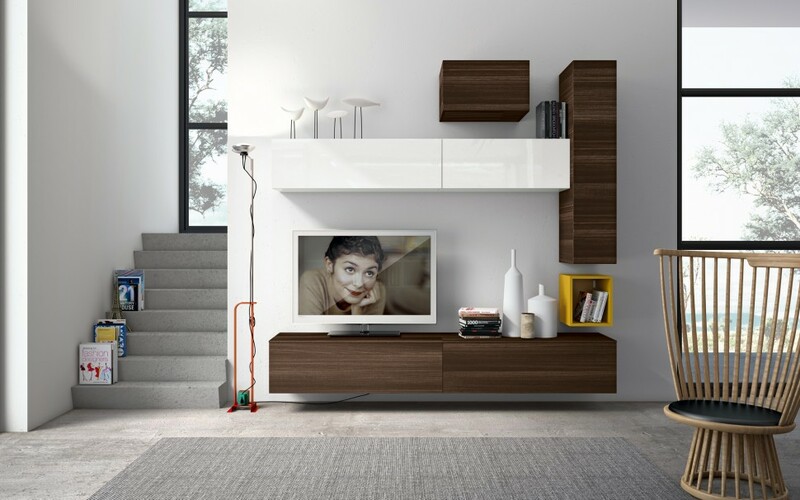 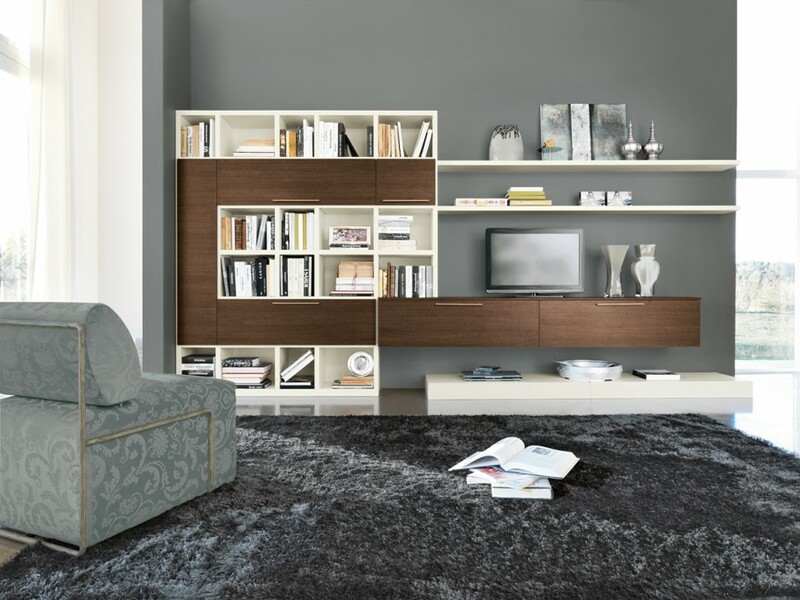 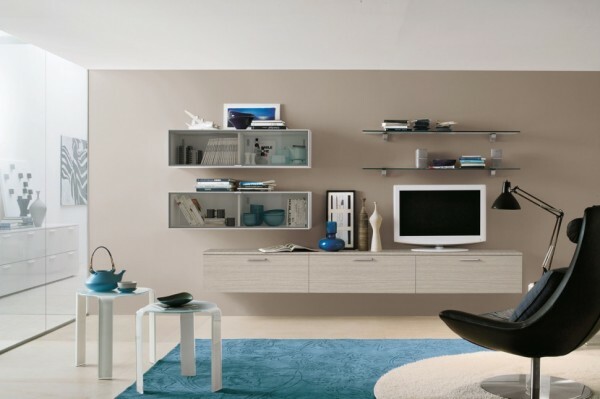 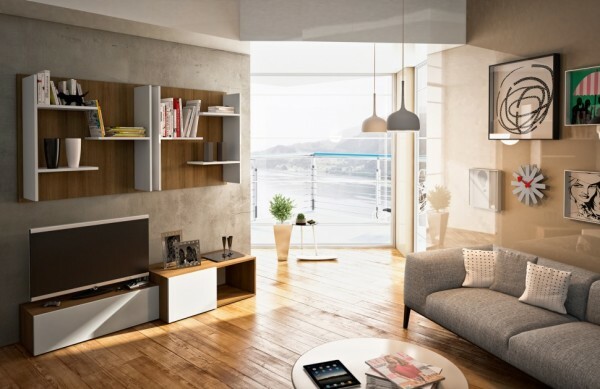 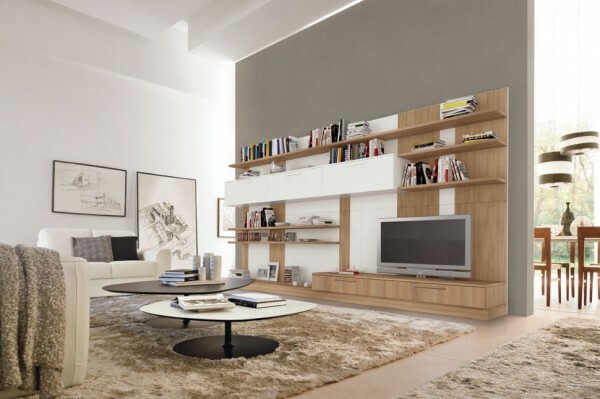 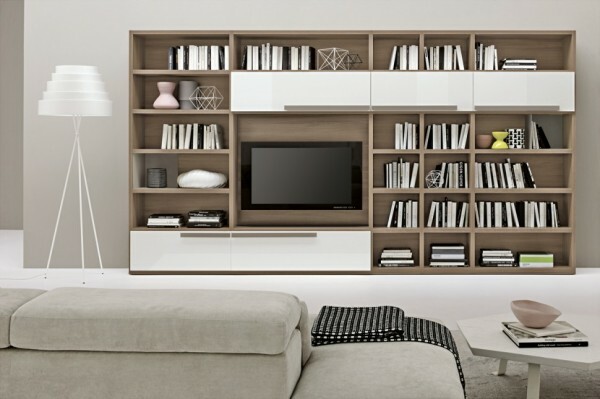 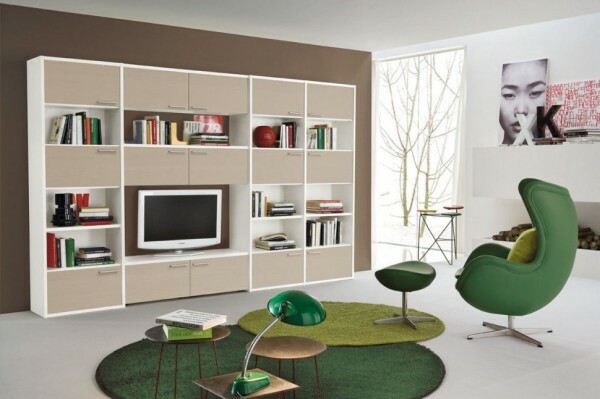 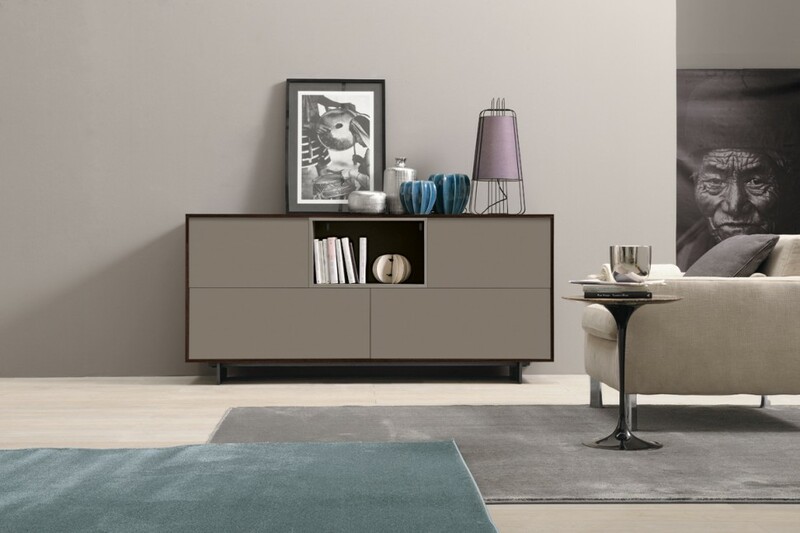 If you prefer a contemporary look to your living room, then storage furniture with a clean uncomplicated line is essential. 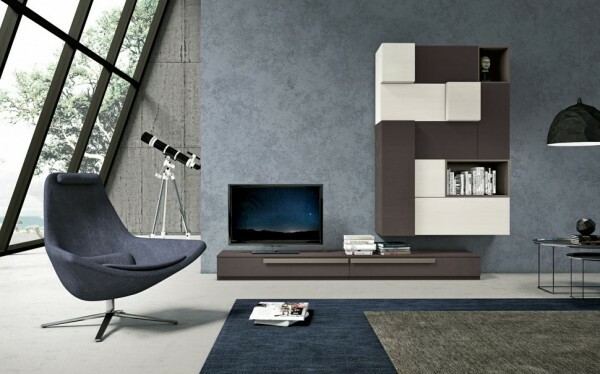 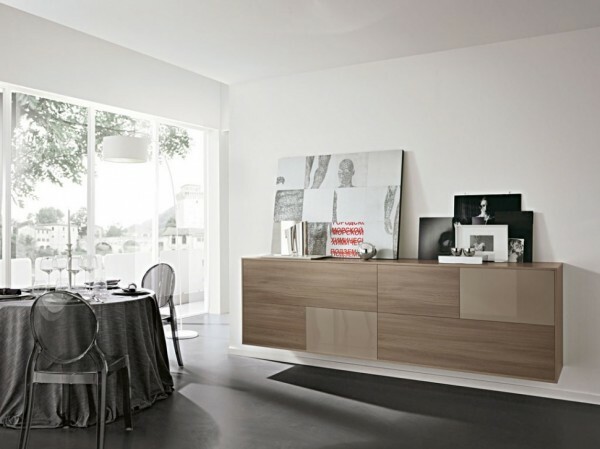 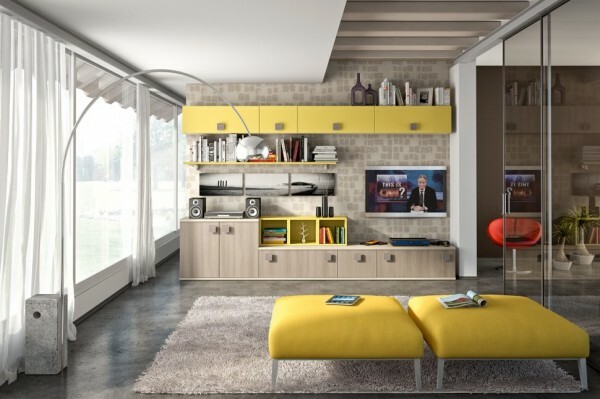 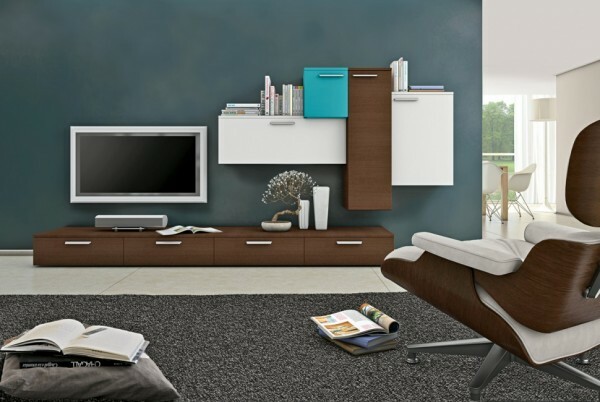 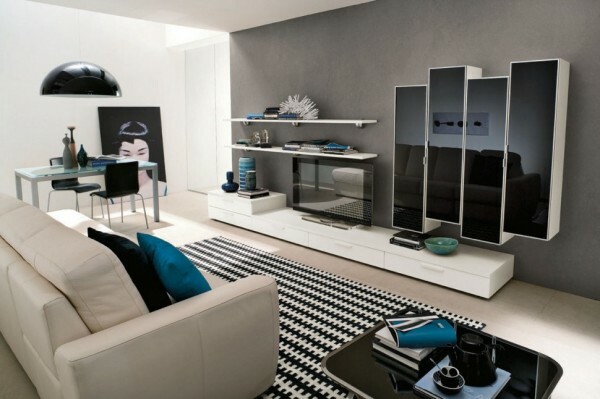 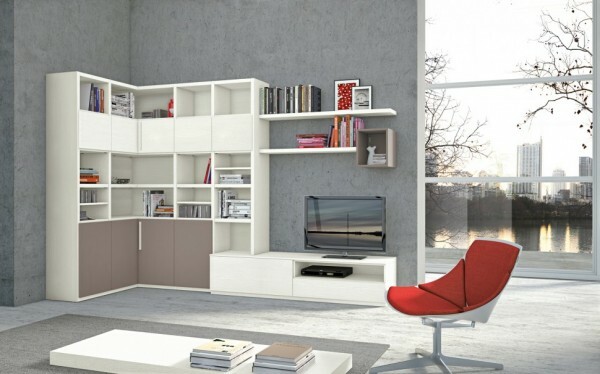 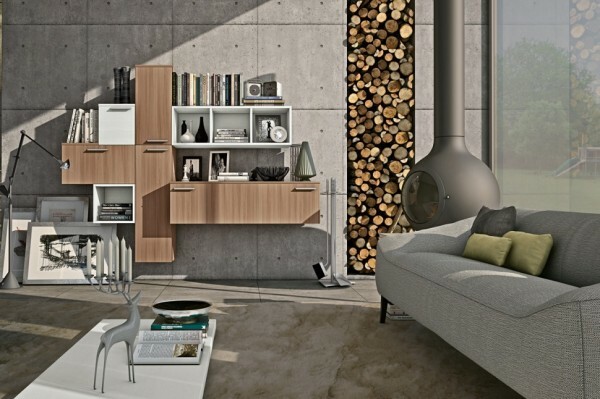 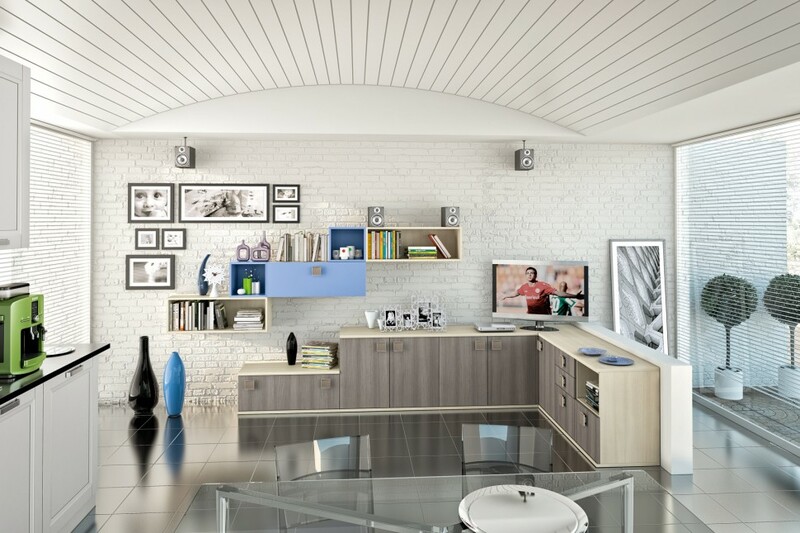 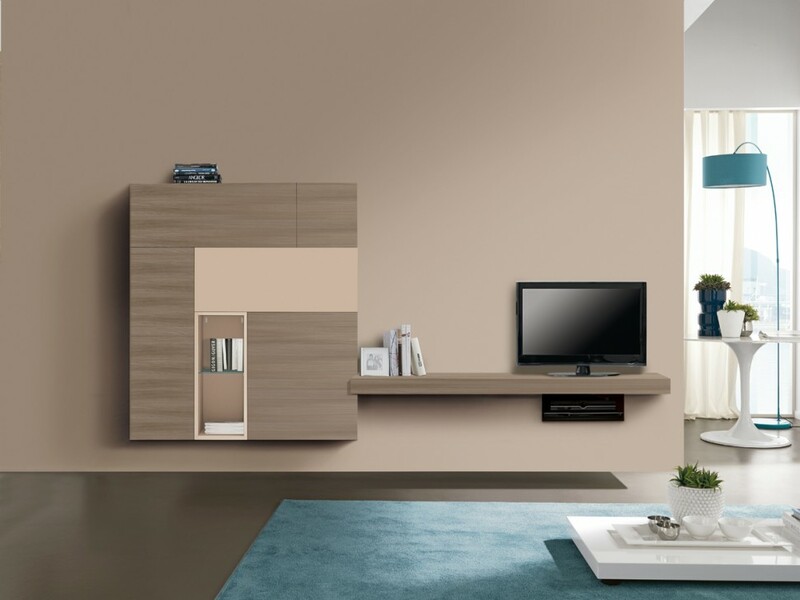 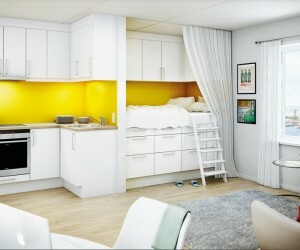 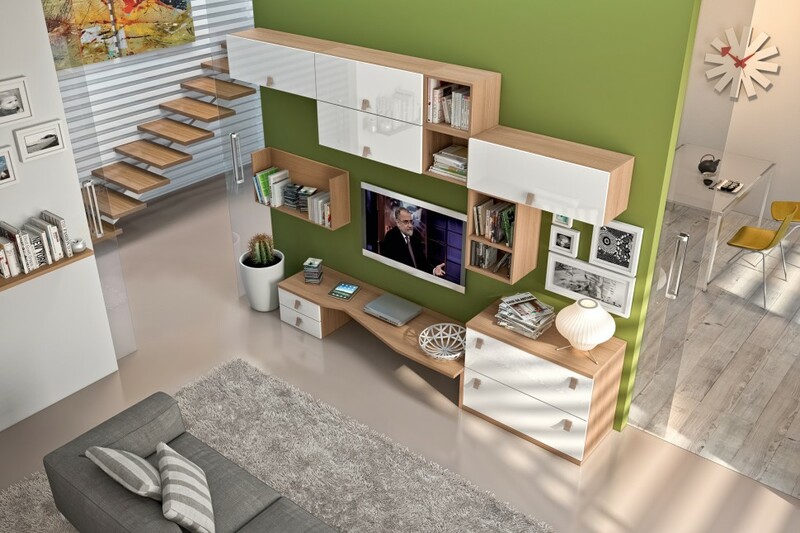 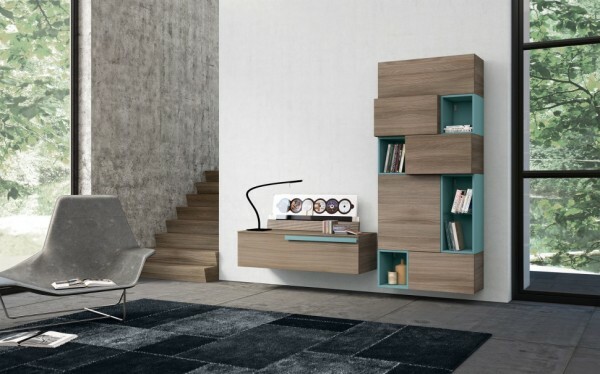 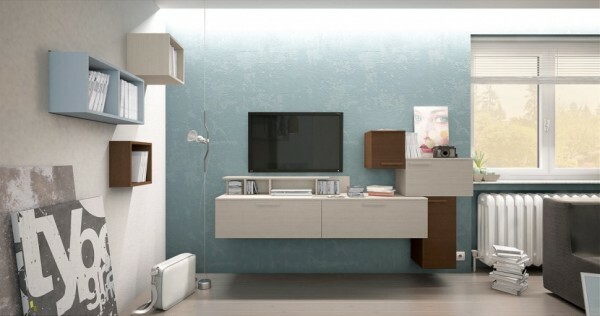 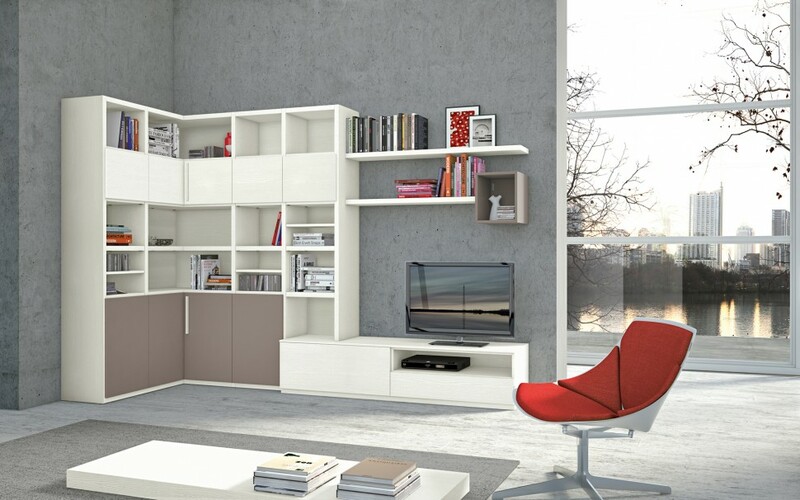 Wall mounted units are a good option to maximize on floor space too. 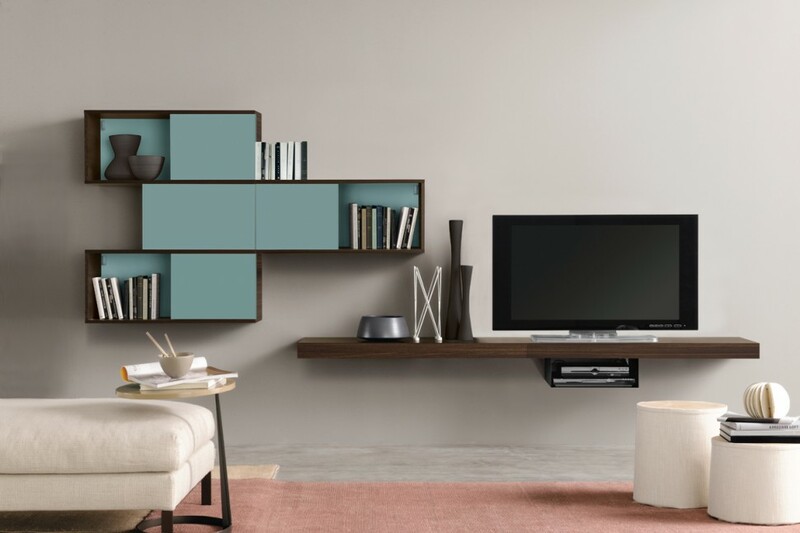 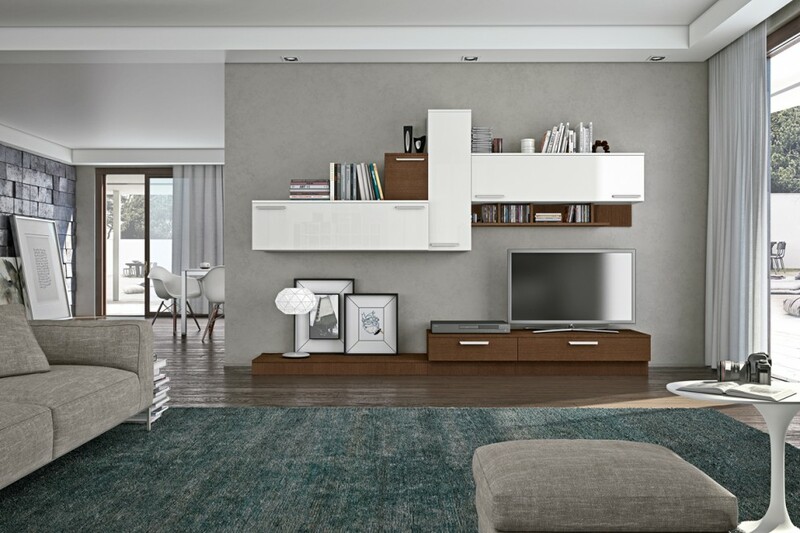 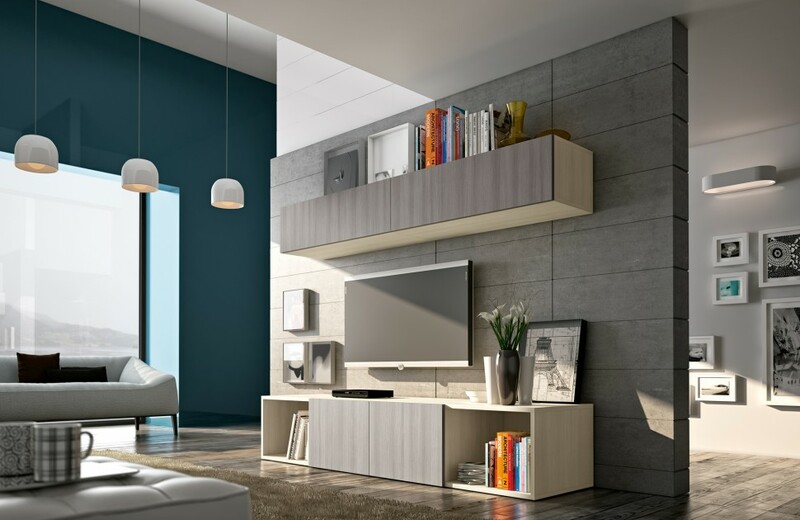 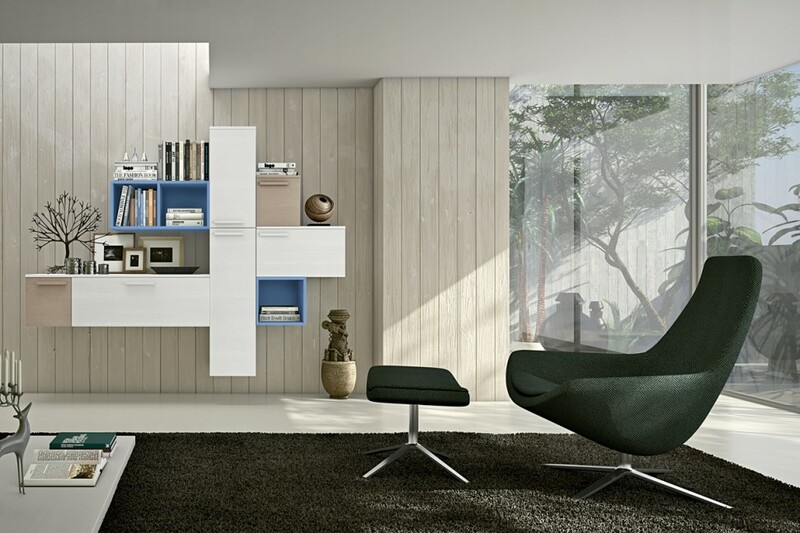 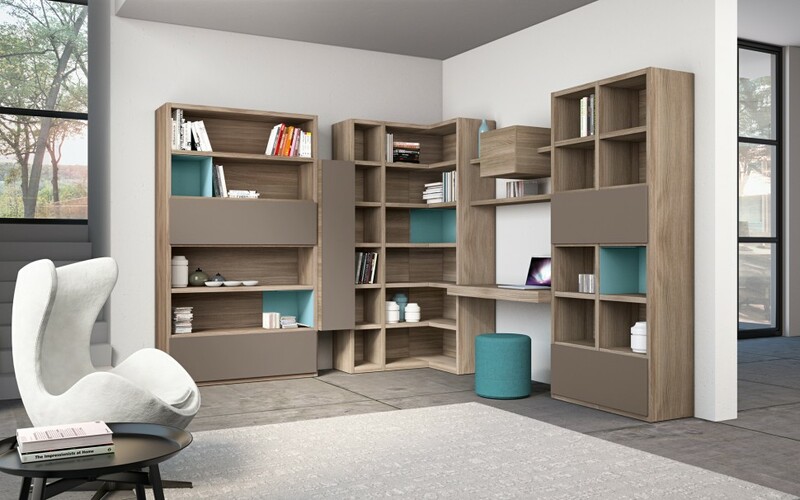 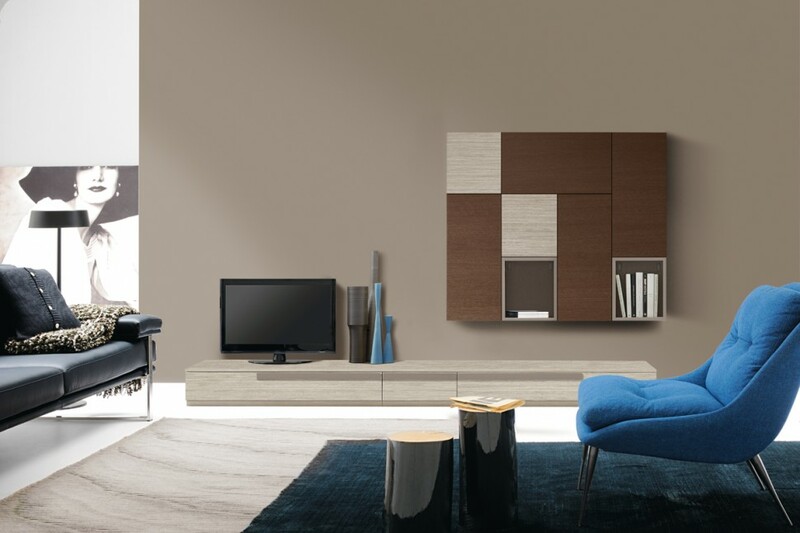 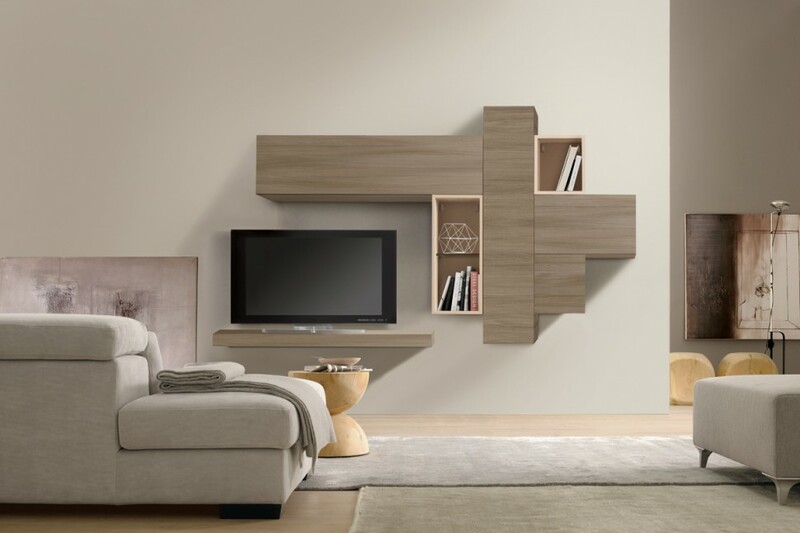 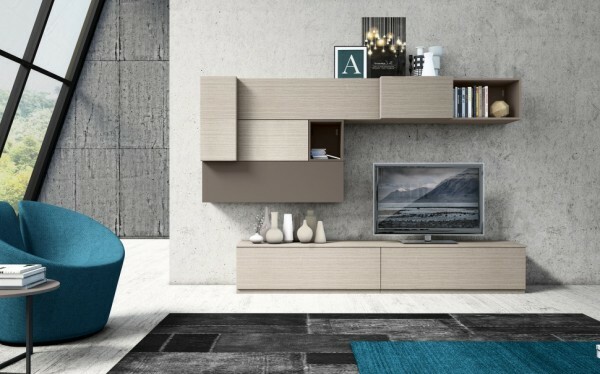 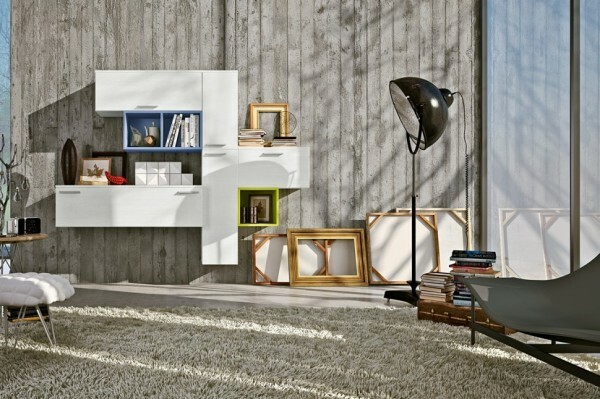 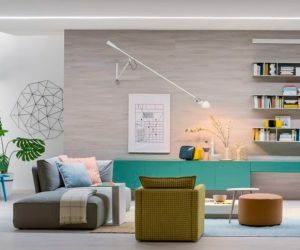 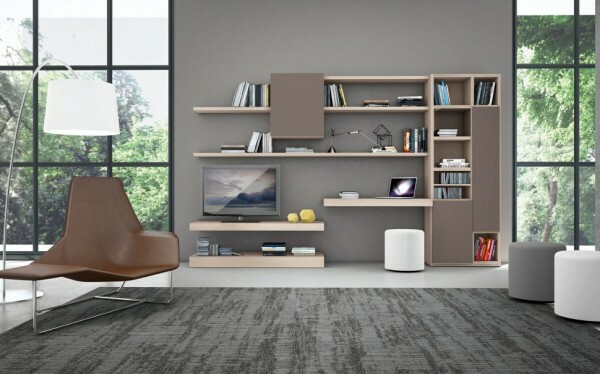 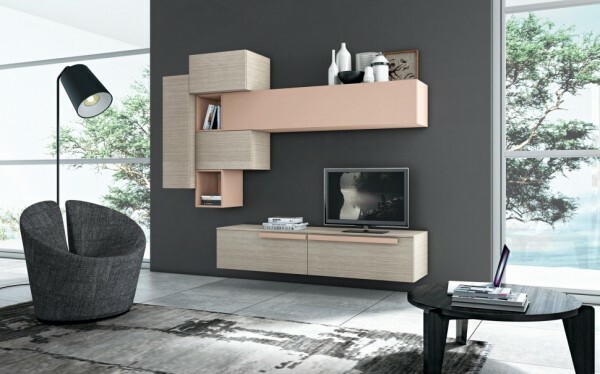 When selecting wall-hung pieces, modular designs are versatile and allow for multiple arrangements in segmented storage - this selection from Colombini Casa offers up some ideas. 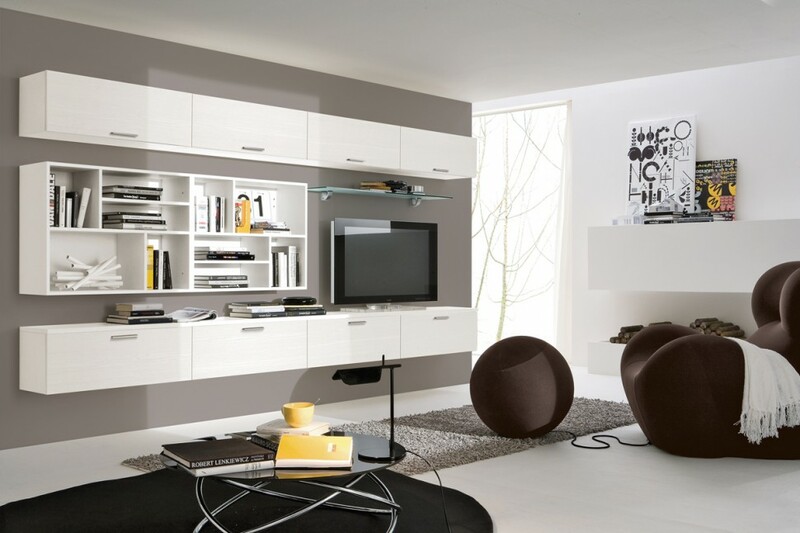 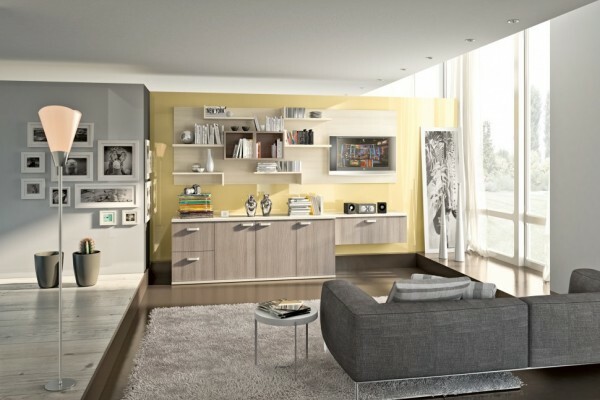 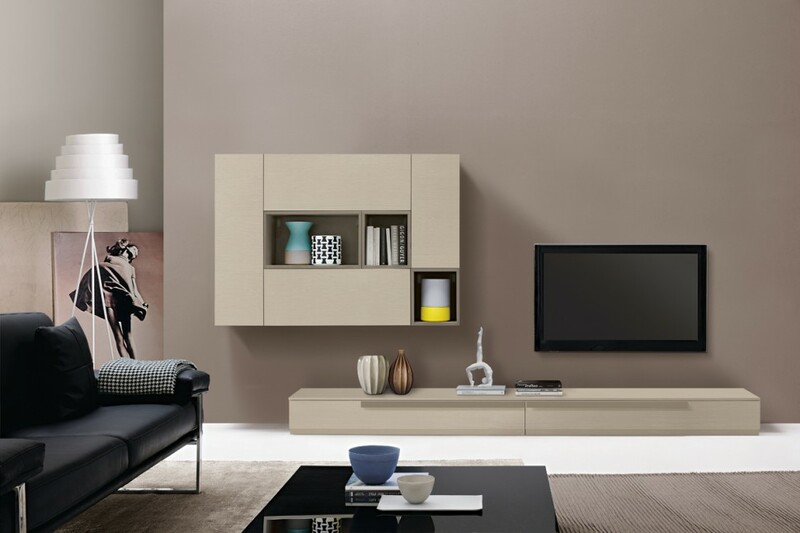 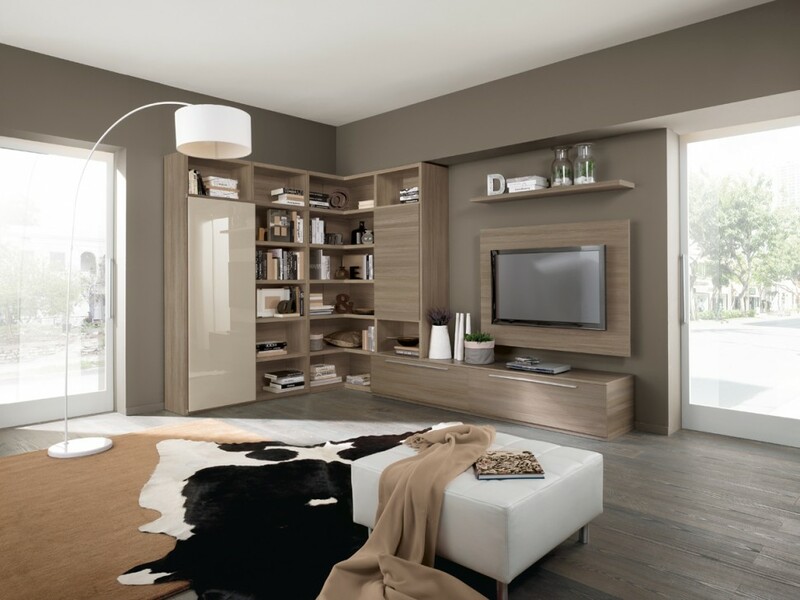 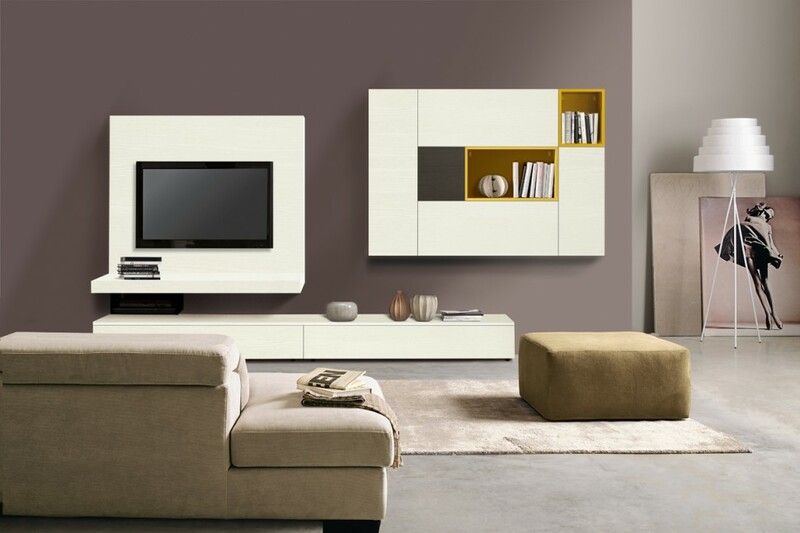 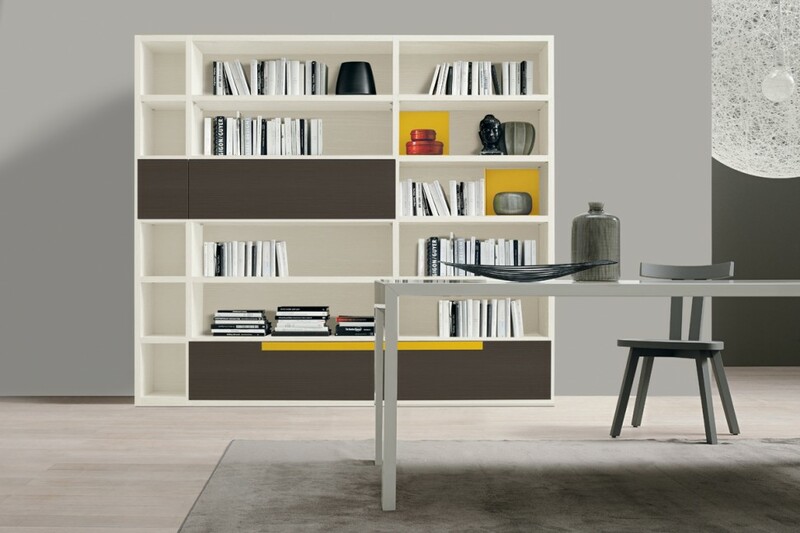 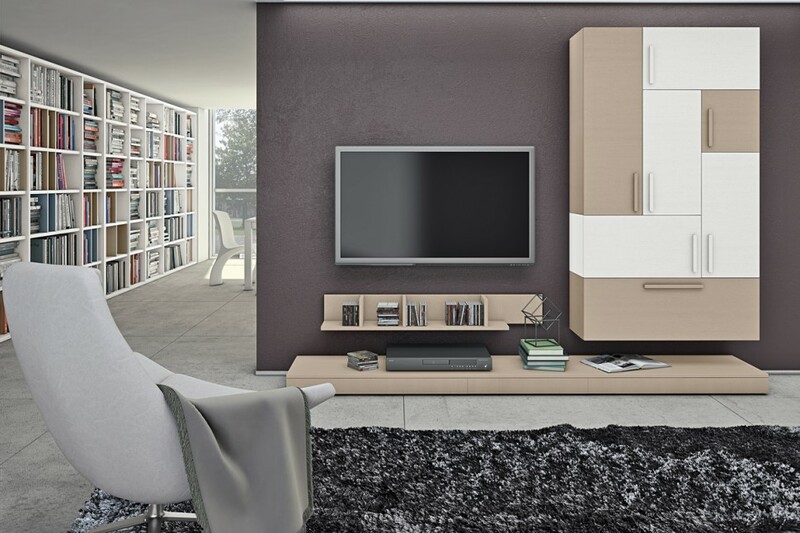 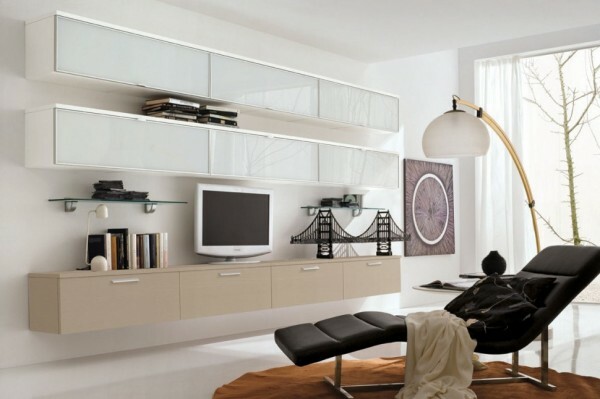 Contrasting cupboard door colors can create a more interesting finish in a piece of living room furniture. 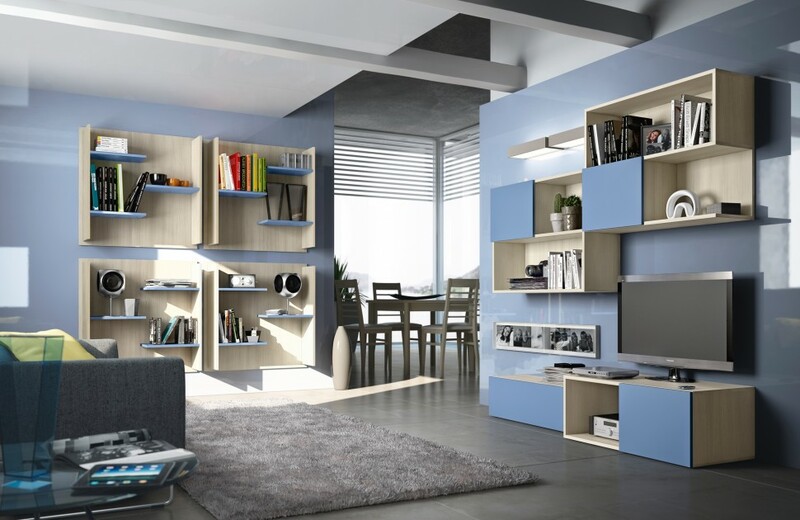 Contrasting matt and gloss and gloss finishes can be equally effective in adding interest to a singular piece, and gives a more subtle look when selected in similar tones..
Clashing block colors make a great display case for knick-knacks or a home library of books. 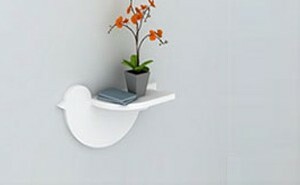 Add a small wall-mounted unit nearby to use as a handy study area or occasional desk. 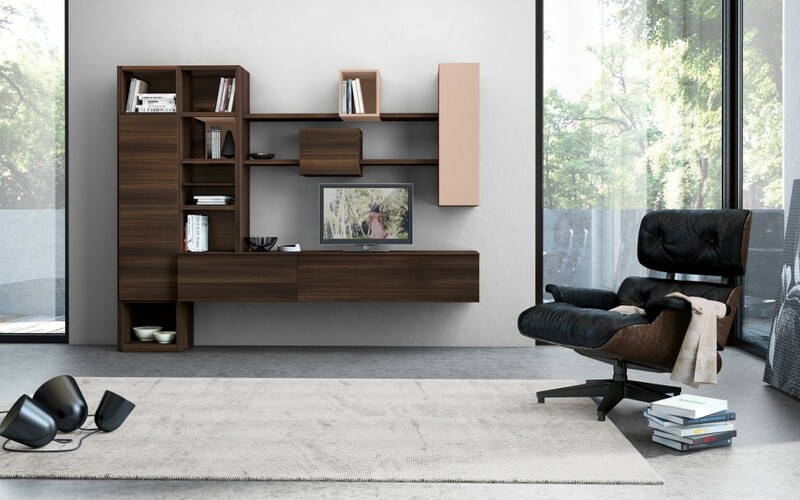 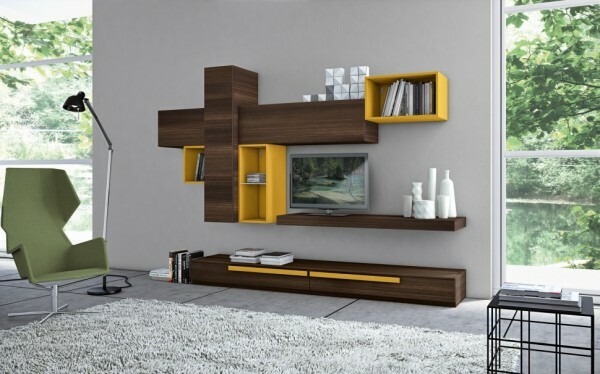 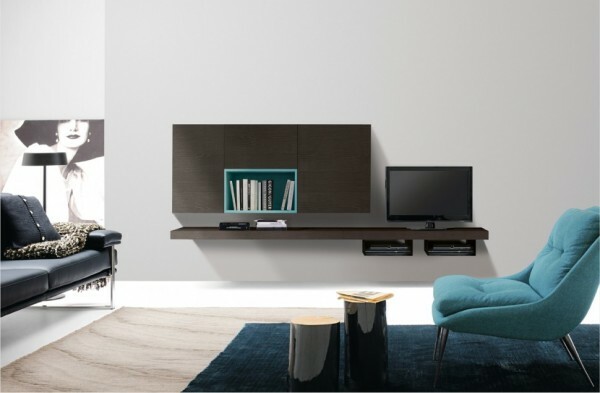 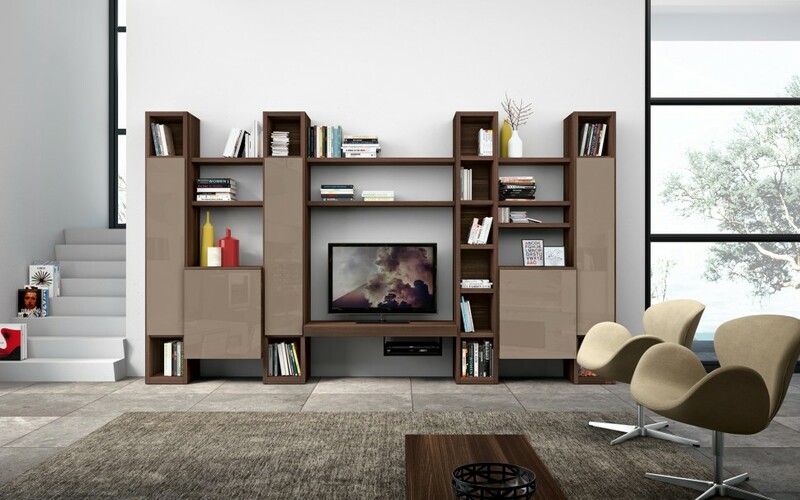 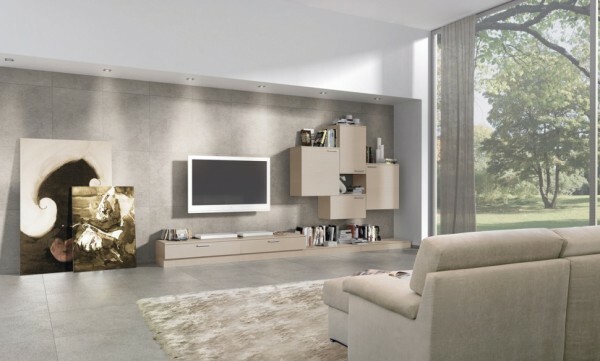 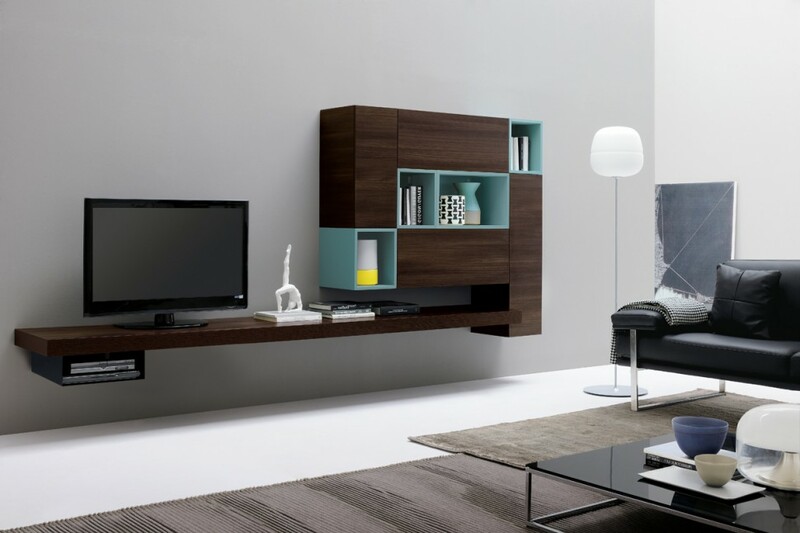 This type of multifunctional unit arrangement also creates a great solution for an entertainment wall, giving ample opportunities to neatly house TVs and consoles, and conceal DVD collections and video games. 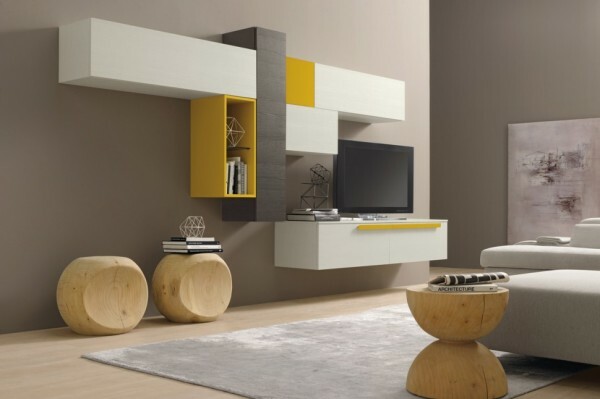 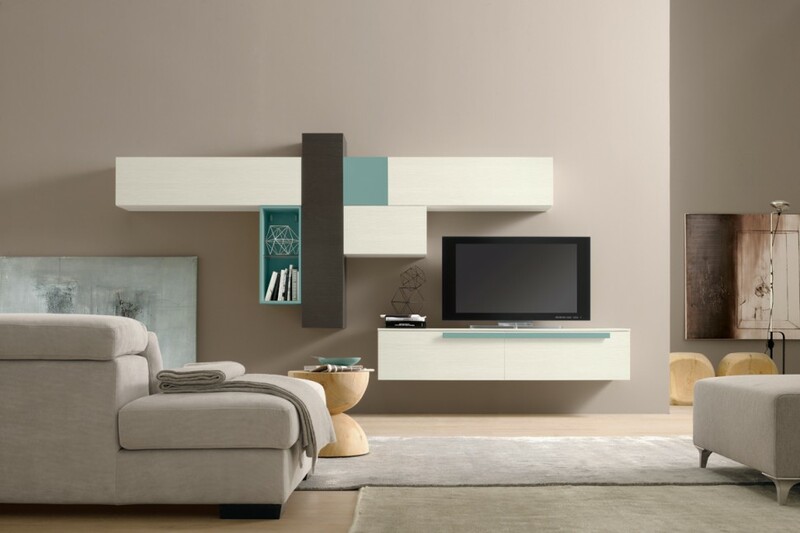 When selecting plainer furniture pieces, try jazzing up the look by mounting them onto a colorful feature wall. 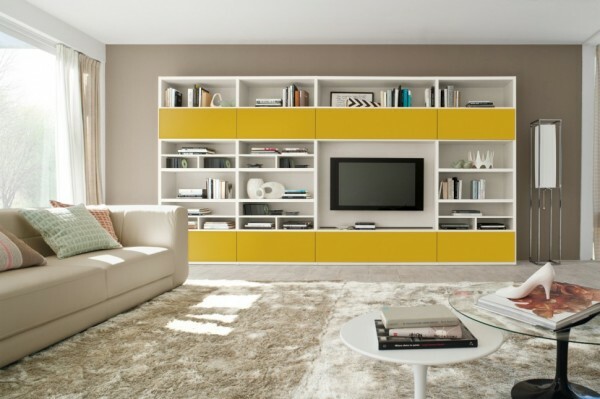 The units will break up the color and prevent it from appearing too overwhelming, so go bold. 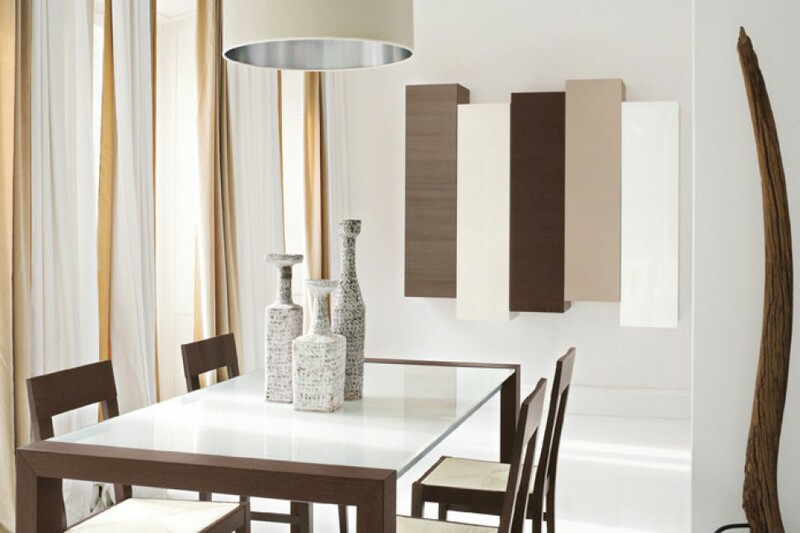 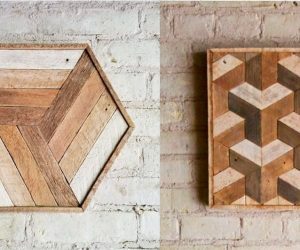 But, if you have a plain room, pick pieces that pop to bring sharp edged impact to your interior design. 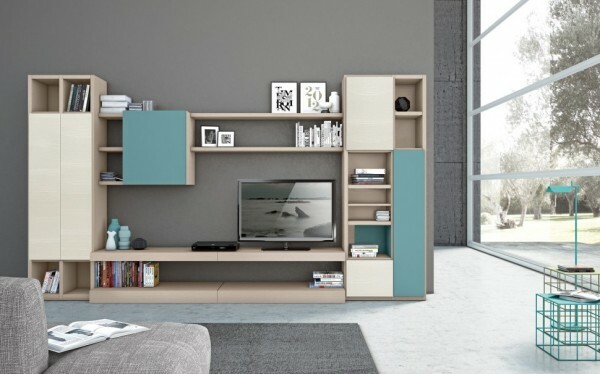 Using two colors looks nice, but three looks great. 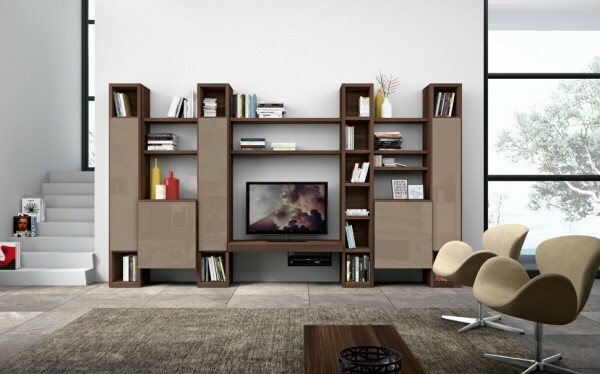 Consider using taller units at each end when creating a home library–the two sides will work as built-in bookends to stop your collection from sliding off.